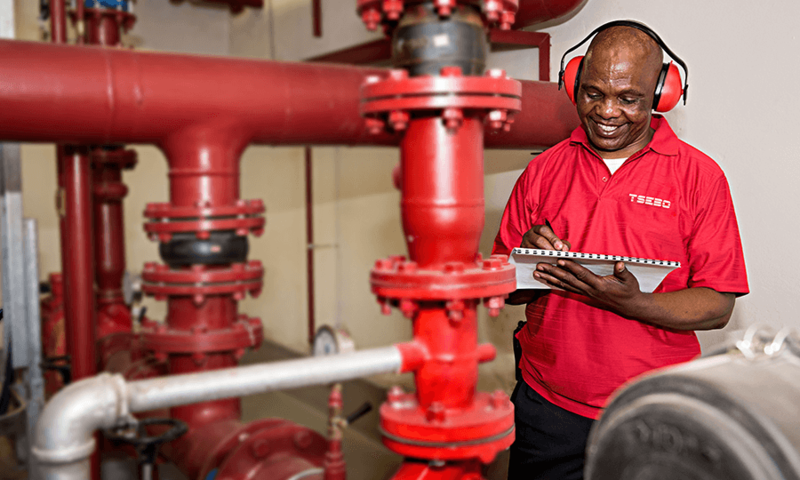 Who are Tsebo Facilities Solutions? Tsebo Facilities Solutions is one of the largest and most sophisticated Facilities and Technical Service Providers in Africa Middle East. We provide service experiences that create reliable, cost-effective infrastructure platforms that allow our clients to build success in Africa Middle East. Formerly operating as Drake & Scull FM SA in South Africa and Tsebo Facilities Solutions in the rest of Africa, we are now operating exclusively as Tsebo Facilities Solutions in all territories. This change has been implemented to end any confusion of our company with Drake & Scull International, a completely separate and unrelated entity. While our brand name has changed in South Africa, our company remains unchanged in every other respect. We remain South Africa’s number one facilities solutions company as awarded by PMR Africa – a title we have held since 2012. 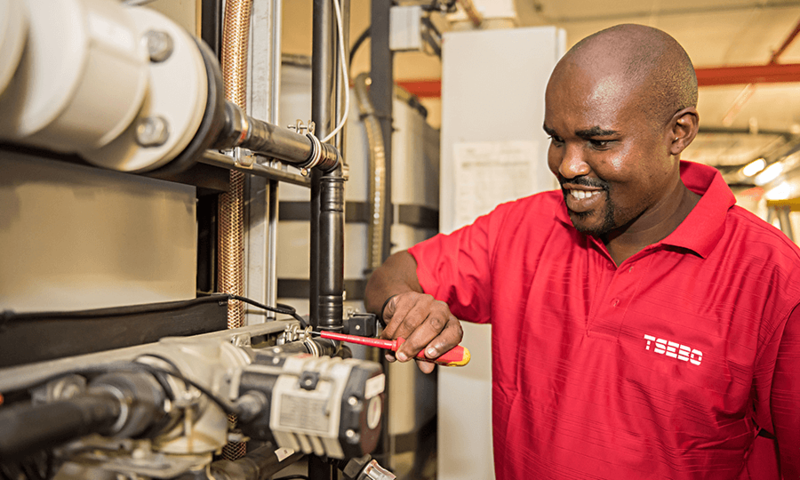 We remain committed to providing African facilities solutions delivered to global standards. Tsebo Facilities Solutions operate at over 6000 sites for clients across a diverse range of industries. These include national, provincial and local government, retail, banks and Financial institutions, information technology, hotel and accommodation, the motor industry as well as manufacturing and technical industries. Tsebo is the Sesotho word for ‘knowledge’. The core of our brand promise lies in the delivery capability of our people, based on their technical, commercial and industry expertise and knowledge. We, therefore, remain by far the leading investor in people development in our industry. From entry-level assistants to senior executives, we make sure our people have the skills to give our clients what they need. 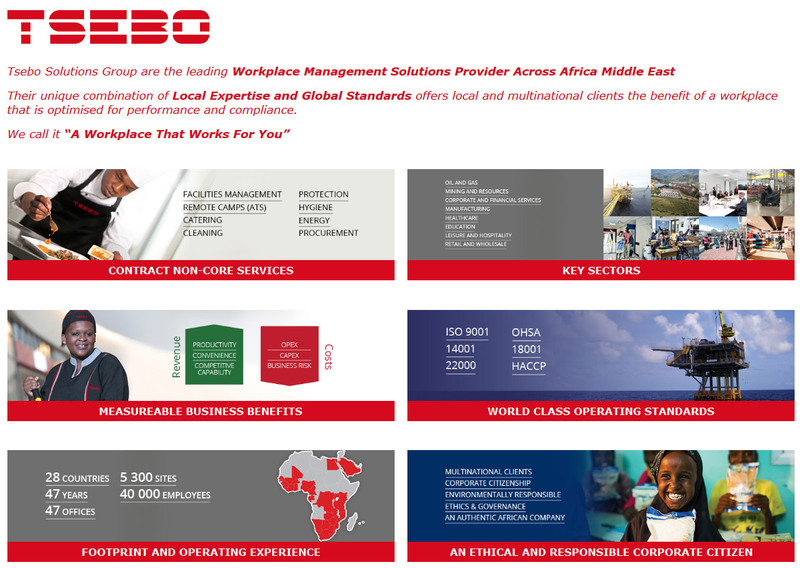 With 20 years of experience in the industry, outstanding human capital, leading ISO processes, cloud-based systems, responsive client service culture and the backing of our parent company (Tsebo Facilities Solutions), Tsebo Facilities Solutions is fast becoming Africa’s leading FS provider. To be the growth partner of choice for businesses and institutions across Africa. To support our clients’ growth in Africa through people and knowledge, delivering a reliable, cost-effective business foundation. Tsebo Facilities Solutions believe in integrity, compliance and good corporate citizenship. Every employee demonstrates our core values and puts them into action at every job site. This has led to a company culture centred on learning, teamwork and mutual accountability, and has enabled us to deliver added value to each of our clients. Our core values and company culture guide us forward so that we continually provide consistent and reliable services of a high quality and build enduring relationships with every client. We exist to serve our clients and are committed to fulfil their requirements and ensure that all aspects of our service satisfy them. People are our prime asset. We value the contribution of each and every employee, encouraging them to develop their skills and take responsibility for their actions. We are proud of our high service standards and the quality of our workmanship – we aim to establish ‘error- free’ as our standard. Successful long-term relationships are built on trust. Our integrity and openness is evident in all our business dealings and in the behaviour of our staff. At Tsebo Facilities Solutions, believe that our people are the key to the success of any contract. In South Africa, we have a fully accredited Academy – our programmes are aligned and approved by the relevant SETA (South Education Training Authority), offering training at all levels within our business. Our focus is ensuring that we concentrate on the core development of business, our programmes are customised to our industry and organisation. We utilise a wide range of methodology ensuring that our employees are equipped with the necessary skills, knowledge and attitude. our sound judgement is based on facts and experience. rewarding innovation – through our Rewards and Recognition Programme. implementation of succession planning and talent development initiatives promoting from within. A joint venture between Drake & Scull UK and the Tsebo Solutions Group creates Drake & Scull FM SA. Awarded Public Private Partnership (PPP) with The Department of Health for Facilities Solutions Services at Inkosi Albert Luthuli Central Hospital. Awarded PPP Healthcare of the Year in Africa. Presented with SAFMA President’s Award. ISO 14001:2004 and OHSAS 18001:2007 Accredited. To grow empowerment initiatives in South Africa Tsebo Facilities Solutions (Formerly Drake & Skull FM) becomes wholly South African owned. Tsebo acquires a 100% stake in Tsebo Facilities Solutions (Formerly Drake & Skull FM) through a joint venture with EMCOR Drake & Skull FM PLC of the United Kingdom, making TFS a division of Tsebo Solutions Group (Formerly Tsebo Holding & Operations (Pty) Ltd). Tsebo Facilities Solutions (Formerly Drake & Skull FM) nominated as one of the “Top 300 Companies”, as a result of its contribution to the growth of South Africa’s economy and job creation. Nominated as “Most Transformed Supplier” by Standard Bank. Tsebo Facilities Solutions (Formerly Drake & Skull FM) is awarded the Maintenance Services contract with the Department of Public Works at Parliament (Ministerial and Parliament Complex). Received a SAFMA Award for Tsebo Facilities Solutions (Formerly Drake & Skull FM)’s contribution to Facilities Management in South Africa. Awarded the Logistic Achiever Award by 10 industry associated organisations as well as PPP Contributor of the Year by SAFMA. Achieves Level 3 B-BBEE Contributor status. Awarded Public Private Partnership (PPP) with the Western Cape Department of Health for FM Services at Lenetegeur Psychiatric Hospital and Western Cape Rehabilitation Centre – Mitchells Plain. Achieves Level 2 B-BBEE Contributor status. Maintains Level 2 B-BBEE Contributor status. PMR.africa – Awarded the Golden Arrow Award 2012. PMR.africa – Awarded the Diamond Arrow Award 2013. Maintains Level 2 B-BBEE Contributor Status – 2013. PMR.africa – Awarded the Diamond Arrow Award 2014. PMR.africa – Awarded the Diamond Arrow Award 2015. Topco – Top Performing Companies Awards. PMR.africa – Awarded the Diamond Arrow Award 2016. SAFMA – Presented with the ‘Excellence in FM’ award. PMR.africa – Awarded the Diamond Arrow Award 2017. SAFMA – Awarded Best Outsourced FM Provider.